to spend time with his friend John Polidori. Among his guests are Mary Shelley, Percy Shelley and Clare Clairmont. Mary Shelley's 'Frankenstein' and Polidori's 'The Vampyre', to name but a few. 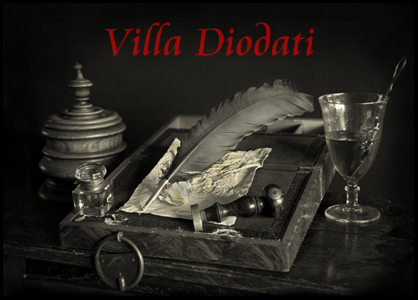 Now, 190 years later, in our modern villa, with a dance room and a salon, we'll evoke the creative spirits of the past. This is a call to all of you artistically engaged, to come together this night. Be part of this tradition and..let's create art!